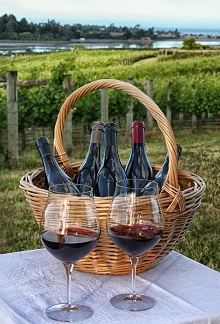 Kirsten has imbibed wine since she was in her 20s but it wasn’t till she moved to New Zealand in 2002 that she became keen to actually learn about wine. Before that she drank primarily European, American and South American wine but it was just a most enjoyable beverage and not something she paid a lot of attention to. Back then, winemaker dinners, sommeliers and wine tasting events weren’t a big thing in Denmark. Today they are. When she moved to New Zealand in 2002 she met many of Marlborough’s leading winemakers who would dine at the hotel, she worked at then, and through them – as well as the job itself – she began appreciating the wines here. 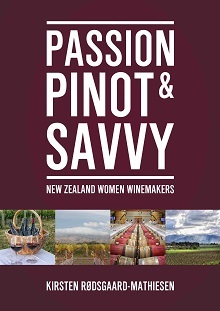 Kirsten has written a plethora of articles - as well as a book- about the New Zealand wine industry and its people, visited lots of wineries, attended many tastings etc. And she continues to do so as NZ wine has become more than a hobby for her… She thoroughly enjoys learning about wine (as well as drinking it!) and she loves sharing her knowledge. if you were a wine which one would you be?